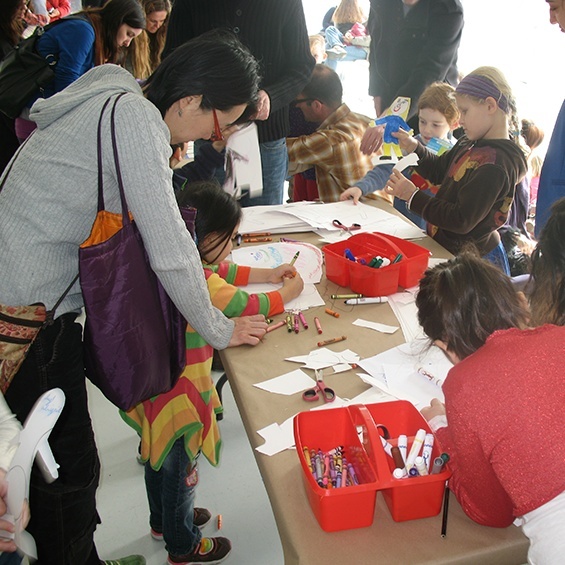 First Saturdays for Families: What’s an archive? What is an archive? Is it a collection? Is it an object? Or a place? Is it always made up of old stuff? Is it only important things? Who decides what goes into it? Discover the possibilities of what an archive can be through conversations and family friendly tours with New Museum docents of the exhibition “XFR STN,” an artist-originated media-archiving project. Then head up to the Sky Room and begin to create an archive of your own life and things that are important to you through a series of documentation exercises—using drawing, writing, printmaking, measuring, and collecting. New Museum First Saturdays for Families are free of charge. This program is designed and recommended for families with children aged between four and fifteen years, and includes free New Museum admission for up to two adults per family. Children under eighteen are always admitted free. No preregistration is required. Space is limited and tickets are given out on a first come, first served basis. Your entire party must be present; tickets will not be given to partial parties. Additional generous support provided by the TD Charitable Foundation and the May and Samuel Rudin Family Foundation.